Let us begin with some fundamentals of DApps. DApps aka Decentralized Applications is crucial to the digital world along with being the future of the blockchain applications. Unlike centralized applications, DApps do not have a hierarchical structure. The decisions in the decentralized applications are made through a consensus mechanism. Recently, we have seen Cryptokitties hit a million unique virtual kitties and it is the demonstration of the extent to which blockchain technology has evolved. The intriguing part of the evolution of blockchain technology is the interaction between the crypto-assets with the gaming industry. The future of gaming DApps will usher an era of decentralized applications due to the autonomous nature making use of the distributed ledger technology while addressing real-world issues. Games like Cryptokitties show the power of the blockchain technology in the gaming industry. 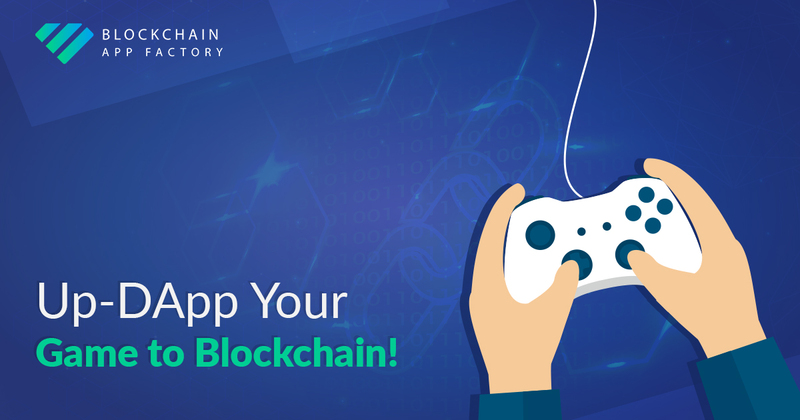 Due to the open source nature of these games, DApp Developers and Decentralized applications development companies have started to emphasize the aspect of games leading to the adoption of blockchain to millions across the world. The future of the DApps in gaming looks lucrative for the future. The lack of any killer blockchain game DApps makes the time right for your killer decentralized application. We will create DApps on your own blockchain, ensuring there are no problems with regards to gas prices. Since DApps is on your own blockchain, you have the full control of the blockchain and there is no reliance on third-party platforms. Third-party platforms have huge congestion of networks due to the sheer amount of DApps created on the platform. This reduces the transaction speed of the DApps. Our team of experienced UX designers and game development professionals will create an ecosystem of futuristic gaming with crypto-assets. Blockchain App Factory is a DApp Development Services Company that has revolutionary ideas to make blockchain gaming into DApps created on a trustless, immutable, transparent and secure platform. How to 🚀Market Your Security Token – STO?